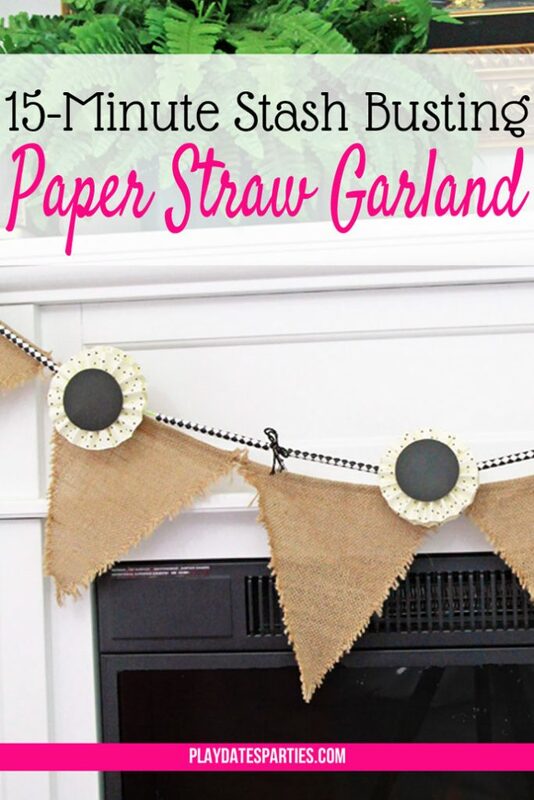 This stash-busting paper straw garland is the perfect way to use up leftover party supplies, and will keep you celebrating long after the party is over! 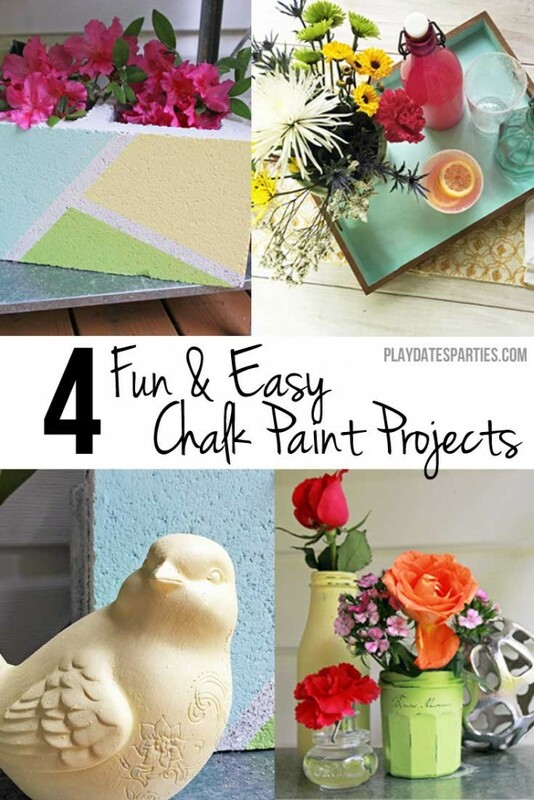 So, what do you do when you’re finished with the party, but you still have extra supplies left over? For years, I’ve built up a stash of leftover craft supplies from party after party. 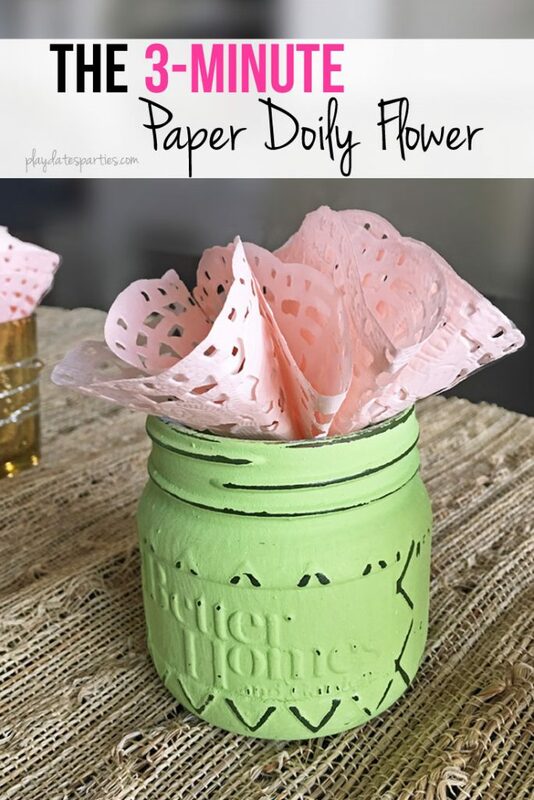 Some things are easy to use up, like leftover paper plates or napkins. But sometimes there are decorations left over that I just don’t know how to use right away. And, frankly, the extra craft supplies just build up way too quickly. My mission for the last year or so has been to focus first on using up the piles of craft supplies we have sitting around. It’s resulted in some fun projects like our Easter Egg felt board and Valentine’s Day Heart Art. But I haven’t yet made anything for Halloween, and now seems like just as good as any time to change that! 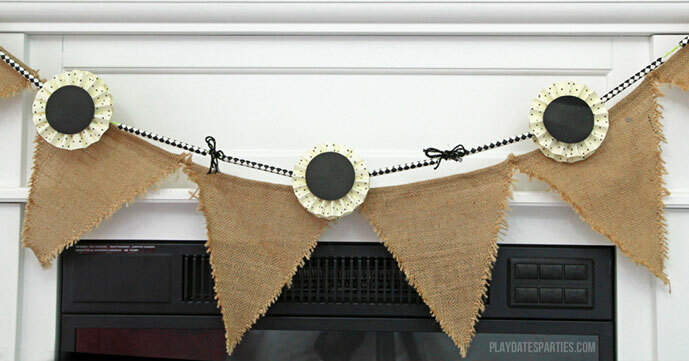 It pairs perfectly with a larger triangle bunting to create a layered effect. The basic technique can be adapted for any event. Cut paper straws in half, and string them onto a long piece of twine. Count two joints away from the paper fan in the center and add paper fans between those straws, as above. In the joints between the paper fans, double up some twine and add a little bow. It only took me about 15 minutes to make the bunting, including the time it took to photograph everything. Don’t skip doubling up the paper fans on both sides of the string. Otherwise, it will twist and turn in a way that just isn’t pretty. The paper fans I used were well over a year old, and started to fall off after a while. This shouldn’t be a problem with new stickers. But if you’re having the same problem, a little bit of hot glue fixes that right up. Don’t want to spend $4 on baker’s twine? Raid your gift wrapping stash for some curling or narrow ribbon instead. I’m looking forward to trying this in so many other ways! Just off the top of my head, I’m seeing rainbow straws with clouds or pink paper straws with paper flowers. So many possibilities! Are your craft supplies piling up? 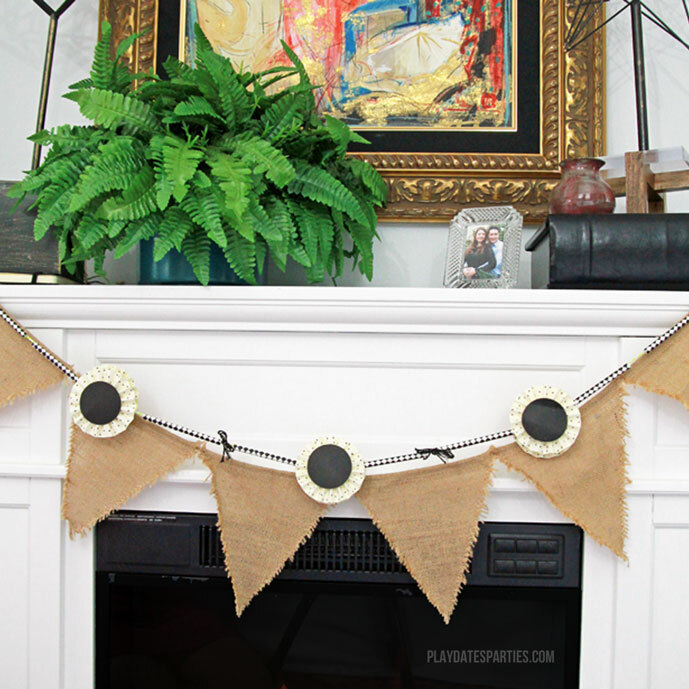 Go raid it right now and make a fun paper straw bunting to layer on your mantel this Halloween. Don’t forget to share your final projects over on my Facebook page, too! What do you do with your leftover party supplies? What would you pair with a stash-busting paper straw garland? Cute garland! I should de-stash my stash which is out of control. Visiting from Happy Now party. Oh, my stash is way too large. I finally decided to just purge a bunch of it over the last few weeks. Scary and freeing all at the same time! I’m for anything that will bust the stash! Looks great, too! Great idea. Love using up my extra piles of stuff. That garland is adorable! Pinning this on SM for ya so others can see it. 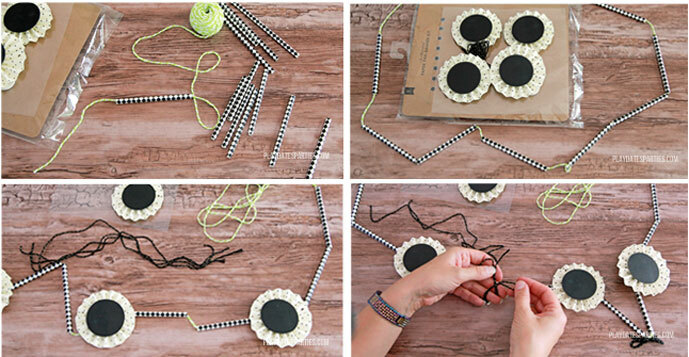 This is such a creative way to use leftover supplies. Now, all I need is an excuse to party a little longer 😉 Thanks for the inspiration, Leslie!